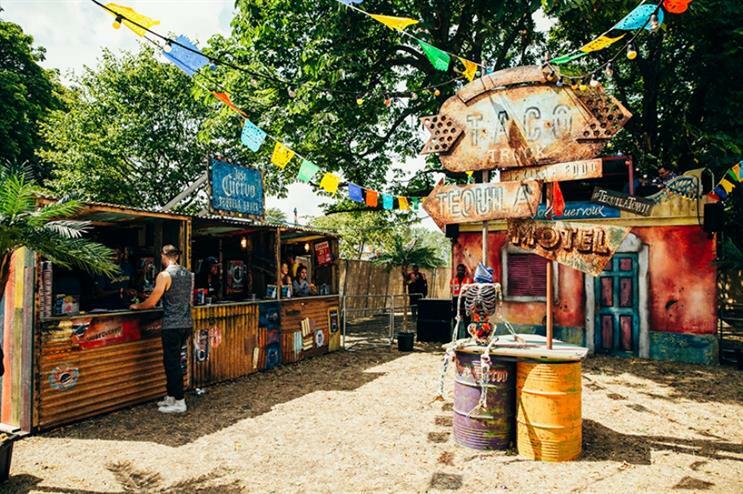 Tequila company Jose Cuervo and coffee specialists Lavazza are among the brands activating at this year's Wilderness Festival. The festival, which kicked off yesterday (6 August) and runs through until Sunday (9 August), has attracted a slew of beverage brands. Each has opted to serve up their products in new and unique ways, and some are hosting masterclasses as well as one-off activities. Jose Cuervo is transporting guests to Mexico with its Tequila Town activation. Attendees can opt for a Tequila-based slushy cocktail and pair it with a dish from Mexican street food pop-up, Breddos Tacos. The brand’s Tequila Town includes a bar made of sheet metal, steel drums and a skeleton, and in true Mexican style, the entire pop-up is brightly coloured. The coffee company is serving freshly made caffeinated beverages in the afternoon and early evening. Its festival pop-up is complete with a chill out area so that people can relax and recharge for the night ahead. Lavazza is also delivering samples of fresh coffee to campsites each morning, ensuring festival-goers are able to make the most of their day. 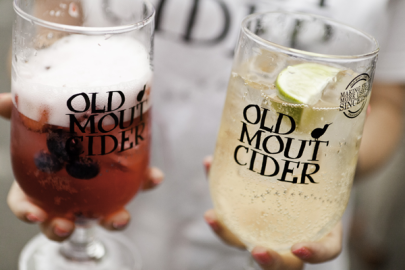 New Zealand-born beverage brand Old Mout Cider is offering conga massages, Haka workouts and musical bingo at its festival camp, which is aptly Kiwi-themed. Four of the company’s cider varieties are available, including its newest flavour, Pomegranate and Strawberry. Ketel One Vodka is bringing its Bloody Mary experience to Wilderness Festival, which has appeared at summer events including Taste of London, and is popping up within The Folly until September. Ketel One mixologists are delivering cocktail masterclasses every half-an-hour, where participants can learn how make their own personalised Bloody Mary. 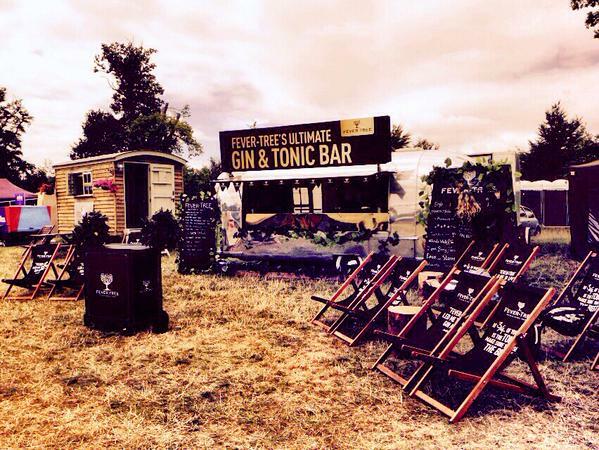 Fever Tree’s Ultimate Gin & Tonic Bar has returned to the festival for another year. The bar serves a range of gins, which are designed to be paired with its tonic waters, as well as a selection of garnishes. The brand is also hosting gin and tonic masterclasses, where attendees will be able to sample different Fever Tree mixers and learn about the gins to pair with each. The spirit brand is hosting interactive gin masterclasses throughout the four days, where festival-goers will learn about the history of both gin and the Martin Miller’s brand as they sip on a freshly made gin and tonic. Laurent-Perrier - the champagne house has devised a 1920s-themed venue. Volvo - is activating its tipi tent at the festival, which recently made an appearance at Camp Bestival.